If the U.S. does indeed label Iran’s Revolutionary Guards Corps (IRGC) a “terror group” it will mark a new level of American hypocrisy. 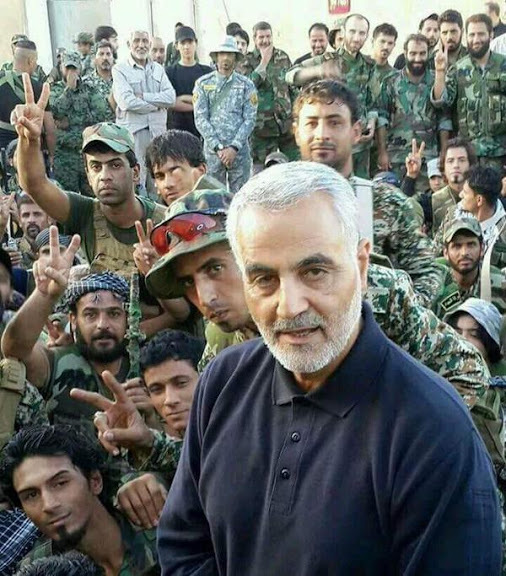 For not only was the IRGC fighting Sunni militants in Syria, long before America entered the fray, but it did so while U.S. allies were backing the Sunni militants. It is an acknowledged fact that the Saudis financed ISIS, (otherwise known as Islamic State, ISIL or Daesh), the main terror group in Syria. This was happening while the IRGC was fighting the Sunni militants in an effort to save one of Iran’s few allies in the region. Yet rather than label the Saudis as “terror supporters” the U.S. has apparently decided to designate as a “terror group” one of the very units fighting the Sunni militants. In plain language it’s called hypocrisy and it’s something that the Americans are beginning to excel at. Such hypocrisy and double standards helps explain why America is so hated and reviled in large parts of the Muslim world today. This will only get worse if the Trump administration designates the IRGC as a “terror group”. Ed. 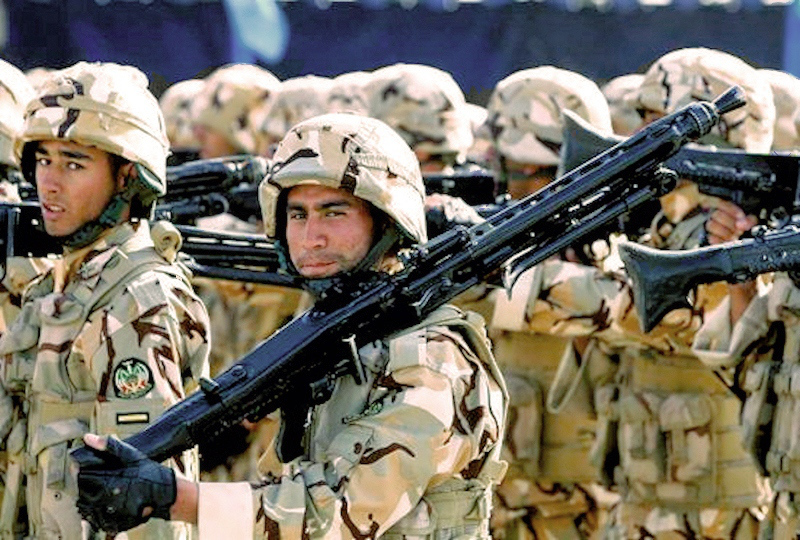 The US is reportedly preparing to designate Iran‘s elite Islamic Revolutionary Guards Corps (IRGC) as a foreign terrorist organisation. It would be the first time Washington has formally labelled another country’s military a terrorist group. The decision is expected to be announced by the US State Department perhaps as early as next week, The Wall Street Journal reported. It has been rumoured for years. Iran warned it might put the US military on its terror list in retaliation, a senior Iranian politician said on Saturday. “If the Revolutionary Guards are placed on America’s list of terrorist groups, we will put that country’s military on the terror blacklist next to Daesh [Isis],” Heshmatollah Falahatpisheh, head of the Iranian parliament’s national security committee, tweeted. US secretary of state Mike Pompeo has advocated for the change in US policy as part of the Trump administration’s tough posture towards Tehran. The announcement would come ahead of the first anniversary of president Donald Trump‘s decision to pull out of a 2015 nuclear deal with Tehran and to reimpose sanctions that had crippled Iran’s economy. The US has already blacklisted dozens of entities and people for affiliations with the IRGC, but the organisation as a whole is not. In 2007, the US Treasury designated the IRGC’s Quds Force, its unit in charge of operations abroad, “for its support of terrorism”. It has described it as Iran’s “primary arm for executing its policy of supporting terrorist and insurgent groups”. Iran previously warned of a “crushing” response should the US go ahead with the designation. IRGC commander Mohammad Ali Jafari warned in 2017 that if Mr Trump went ahead with the move “then the Revolutionary Guards will consider the American army to be like Islamic State all around the world”. The IRGC is in charge of Iran’s ballistic missiles and nuclear programmes. Tehran has warned it has missiles with a range of up to 2,000km (1,242 miles), putting Israel and US military bases in the region within reach. The IRGC has an estimated 125,000-strong military with army, navy and air units and answers directly to supreme leader Ayatollah Ali Khamenei.